¡PRODUCTO BAJO PEDIDO! PLAZO DE ENTREGA ESTIMADO: 10-31 DÍAS. 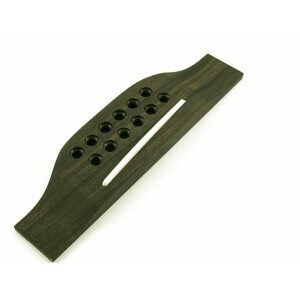 A beautiful bridge in ebony for nylon string guitars. ¡PRODUCTO BAJO PEDIDO! PLAZO DE ENTREGA ESTIMADO: 10-31 DÍAS. 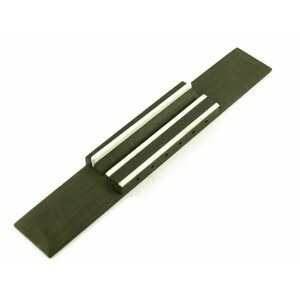 This ebony bridge is designed for Martin® styled 6-string acoustic guitars. It comes loaded with a plastic non-compensated saddle. 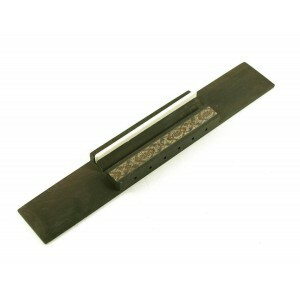 It is made for steel string guitars and has a satin finish. 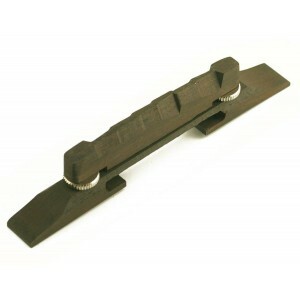 The bridge is flat on the bottom and is not completely drilled through for bridge pins. ¡PRODUCTO BAJO PEDIDO! PLAZO DE ENTREGA ESTIMADO: 10-31 DÍAS. 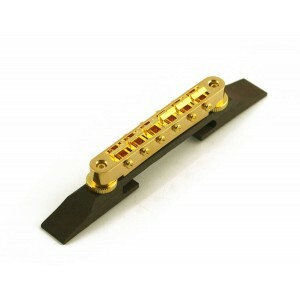 This 12-string Martin®-style bridge is made from ebony and comes with a non-compensated plastic saddle. 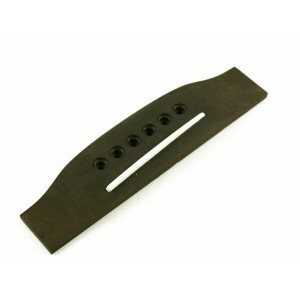 It is specifically for steel string guitars and has a satin finish. 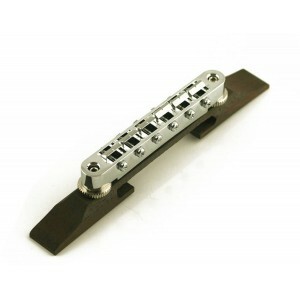 The bridge is flat on the bottom and is not completely drilled through for bridge pins. ¡PRODUCTO BAJO PEDIDO! PLAZO DE ENTREGA ESTIMADO: 10-31 DÍAS. This ebony bridge will fit most archtop guitars and features and compensated wood saddle and chrome hardware. ¡PRODUCTO BAJO PEDIDO! PLAZO DE ENTREGA ESTIMADO: 10-31 DÍAS. 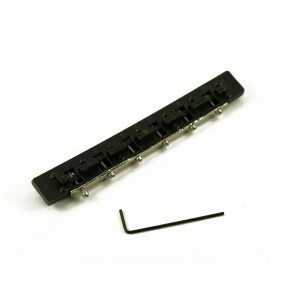 This terrific invention directly retrofits into a typical saddle slot on an acoustic guitar to give you the ability to adjust intonation individually by string.